Russia is often considered very divergent or at least as something that does not meet our expectations. The Russians themselves also appeal to the fact that “Russia cannot be understood with the mind alone – in Russia, one can only believe”. 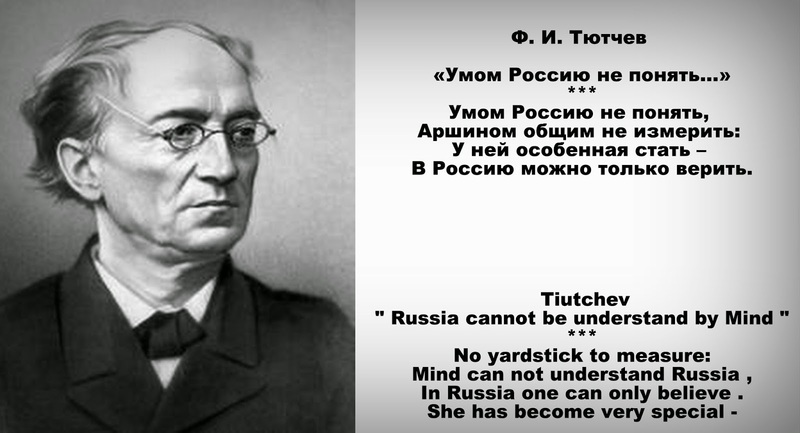 Thus wrote Poet Fyodor Tyutchev in the 1860s when Russia’s standing in the East-West dichotomy was largely discussed. The special characteristics are also used as an explanation or a justification for Russia’s actions: ”You will not understand anyway”. Despite this, we should not give up but try to understand Russia through its internal logic. Maybe its actions are consistent from its own premises? ”Russia – East or West?” has been a discussion topic for centuries, particularly for the last two, three hundred years. Already a thousand years ago, the flourishing international city of Kiev was influenced by east and west as well as by the Vikings and the Byzantine Empire. When the two Romes had fallen down, Moscow promoted itself as the third Rome in the 1500s. The following centuries saw a large influence from the West, which led to the creation of two different groups, the Slavophiles and the Westerners, in the 19th century. One solution was not to belong to either camp but rather existing somewhere in the middle, as Eurasia. At the moment, the Eurasian Union is being built as an economic and political alliance. We also sometimes talk about ”the mother or father of the country”, but in the Russian tradition it is even more true. The relationship between the rulers and the people is like that of a family, not an agreement based on the laws of the citizens and the authority. The tsar got the power from the God, the nobility had to obey the tsar, farmers had to obey the nobility and so forth all the way to the servants and slaves. The father of the country was "The Good Tsar" who could, however, have bad advisers. Those he should not listen to but change them for better ones. “The Tsar has the right to reward his subjects but also the freedom to execute them” wrote Ivan the Terrible. The good Tsar listened to the people and, if necessary, corrected the injustices caused by the nobility, soldiers and officials. This kind of “visiting the king” was of course common in other autocracies as well. Strong authority figures have also been justified with the size of the country. ”A great empire such as Russia would be destroyed if any other system of government than absolutism would be implemented, as it is the only one that can sufficiently quickly satisfy the needs of even the most distant governments”, wrote Catherine the Great in the 18th century. It has also been essential to hold on to the area. Therefore, it is no wonder that President Vladimir Putin has described the disintegration of the Soviet Union as “the biggest geopolitical catastrophe” of modern times. The church has had a central role in Russia for centuries. It has concentrated in its own task but supported the secular authorities when the goal is promoting the Russian and Slavic interests. Recently, Prime Minister Dmitry Medvedev has talked about “the symphony of church and state”. In the 1830s during the reign of Nicholas I, “orthodoxy, autocracy and nationality” became the established ideology doctrine of the country, at least in part as a reaction to the Liberté, Égalité, Fraternité trinity. The church, respect for the secular authority and loyalty towards the country’s own traditions are also a suitable ideology today. According to recent enquiries, patriotism has increased during the past few years. In addition, patriotism is encouraged deliberately. Patriotic education is one of the tasks of the schools and teaching history correctly is very important. An ongoing controversial project is to draft a series of history textbooks common to all schools, which would, according to President Putin, “increase love towards Russia through knowledge”. He has justified it by saying that “the young people will not otherwise understand in what kind of a country they live in or feel a connection to the earlier generations”. Also the church has supported the project. The current phenomena and attitudes are a result of a long continuum and many of Russia’s special characteristics can be explained with history. History is also used in justifying and validating the present actions. 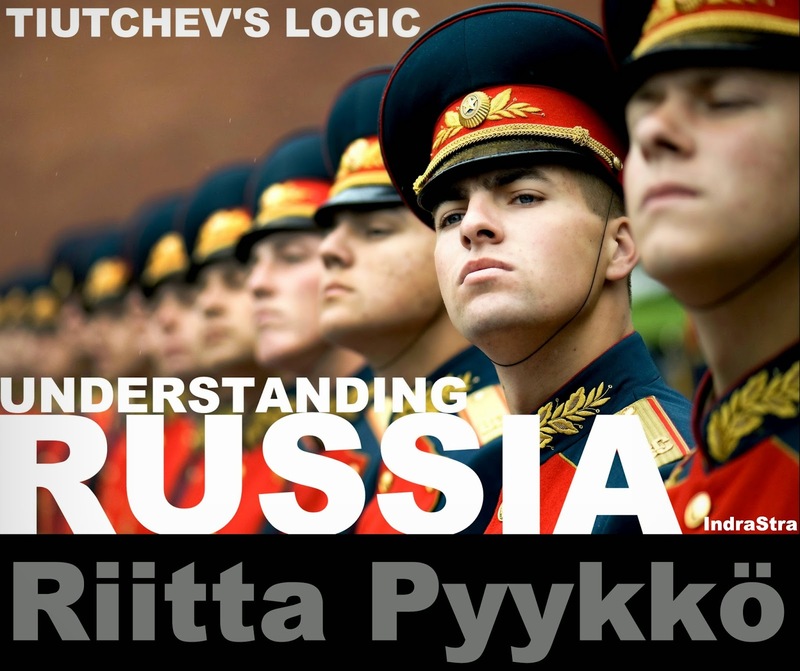 The better we know Russia, the better we can identify its inner logic. We will understand, even if we don’t approve.